LiveEdu announced that they have successfully reached the $10M hardcap for their ICO ahead of schedule. Over 5000 people from 150 countries participated in the ICO. Many of the participants are professionals working in the industry LiveEdu is targeting. The funds raised in the crowdsale will be used for rapid expansion of the LiveEdu ecosystem and streaming clusters, building ten thousand projects for their initial eight topics and hiring more experienced team members. LiveEdu is a decentralized peer-to-peer project learning platform for people to improve their job skills in future technologies. 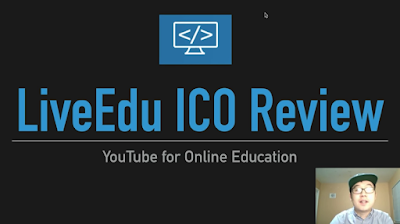 LiveEdu is building the YouTube for online education and professional development. They are taking one category out of YouTube and building it out into a bigger category of its own. Just as Twitch took the category gaming out of YouTube and built it into its own large vertical, LiveEdu is taking the category professional development out of YouTube.